Before you go on to read this week’s new blog post, I would like you to keep this statement running in your head like a teleprompter. The idea of living simple is very difficult to fathom for a human being. We human beings are made up of wants that will not cease. Yet we must try and adopt the art of minimal living. 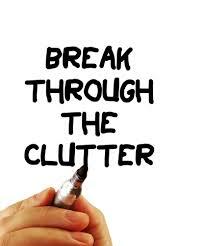 In your daily routine, you are barraged with colours, objects and ideas that create a clutter in your mind. If you’re living the city life, the hustle and bustle of it really takes a toll on you. Also, if you ever visited the city of Bangalore, you live half of your life stuck in traffic cursing your luck. Therefore, in order to keep a calm mind, you must adopt the minimal route. 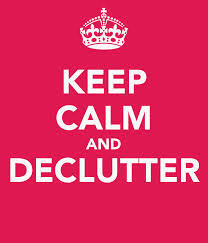 Well, what better place to do it than to begin with home storage in Bangalore. Bangalore, the evergreen IT city is known for its swanky yet spacious apartment space. But did it ever occur to you that you might not actually be using your apartment space to its full potential? Fret not! We have got you covered on that. Take few post its and memorise these golden rules of minimalism. You have less mess to clean up. You shop less and save money. You make your life simpler. You get the space you paid for. When you look at your room, a tug-of-war goes on in your head on things that need to be kept or thrown out, also the constant need to go and shop is where clutter slow accumulates within your home. Therefore, it is essential to draw out a plan. Home storage in Bangalore can be easily done, if you plan right and systematically. So now your plans are more or less set, it is time to go about ironing out and keep just what you need. This divine place is the heartbeat of the house. You can have long conversations, gossip while cooking sumptuous meals for your family. A full tummy is a happy mind. Before you cook your dinner, it is always inviting to see a clean and organised kitchen. So begin with the Tupperware or containers, which are old and never used, strip down your cutlery and see what makes the grade. Buy a small basket and place your cups, spoons, forks, ladles all in it. Add adjustable dividers in drawers; install panels to keep your spices and other flavouring additives. Keep the plates, above the sink in a cabinet. Finally, do a regular clean-up of things inside your kitchen. Add colour maybe, it will surely bring a smile on your face. This room speaks loudly about your personality. Open your cupboard/closet, have a gander at the overflowing clothes that just came crashing down on you. Hello, are you listening? If you step back for a minute, you will see that most of the clothes you buy will never be worn by you again. It is human nature, every day you feel different and therefore try new things. Open your suitcase under the bed and dump all the clothes that you’ve outgrown or not going to make a use of. Donate it to a charitable trust they can make good use of it. Home storage in Bangalore is of a great need currently in big cities and living simple is how the modern world is perceived. It is ideal to have a goal in mind. Say 5 tops, three jeans, a couple of shorts and three pairs of shoes. That should do it. Okay, so we do not have those lavish bathrooms that we see in the movies, we spare a small space of the apartment to do our daily duties and have a shower. Yet, this is the most, and I stress the most important room that needs to be hospital-like sterlised place. That being said, you must organise the cabinets in the bathroom. Have a soap box, your scrubs, toothpaste and toothbrush, washed, dried and kept in an air tight space. Rotate the towels so you get the same wear and will eventually all be ready to replace the same time, keeping the set the fresh and new. There you have it we have just touched the surface of home storage in Bangalore. You can take on the mantle and do so much more. Yes, your house will still get messy and your kids will still throw around their toys and stuff will still pile up in places. But if you’re living in a city like Bangalore home storage done the right way will take you one step closer to your ideal home. But for more such cool ideas and home storage options, BoxMySpace is an ideal storage solution provider you must have a look at.